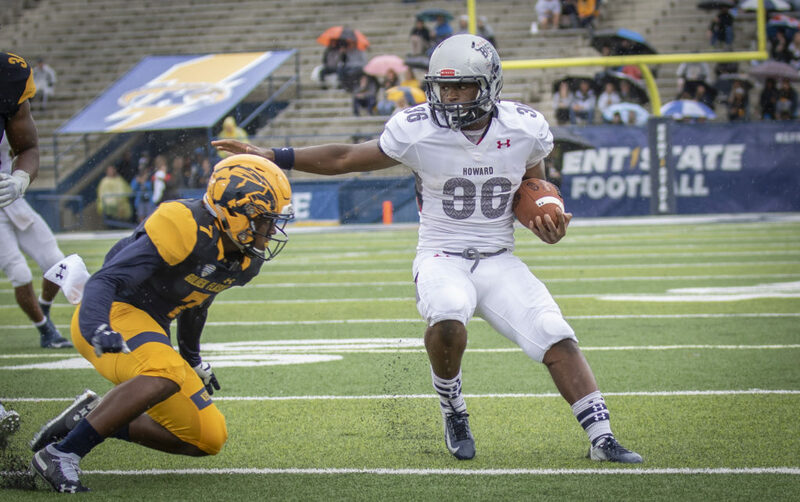 KENT, Ohio (September 8, 2018) – After putting up an impressive 645 total yards at Ohio, Coach Mike London and the Howard University Football team were unable to find their rhythm as they fell to FBS foe Kent State (KSU), 54-14, for the second consecutive year. Kent State’s lighting fast offense kept the Bison’s defense off balance; thus, scoring another touchdown late in the third, followed by 16-yard TD run from KSU’s Will Matthews early in the fourth. Defensively, second-year defensive back and Ohio native Bryan Cook (Cincinnati) registered a team-high eight tackles (seven solo), including two tackles-for-loss. Redshirt junior Devin Hurtado (Fremont, Calif.) filled the stat sheet with four tackles (three solo), a fumble recovery, an interception, and half sack in the loss. On Sept. 15, Howard host Savannah State in their home opener. Kickoff is scheduled for 1 p.m. at Greene Stadium.